Article: What does "direct" mean in your website analytics? 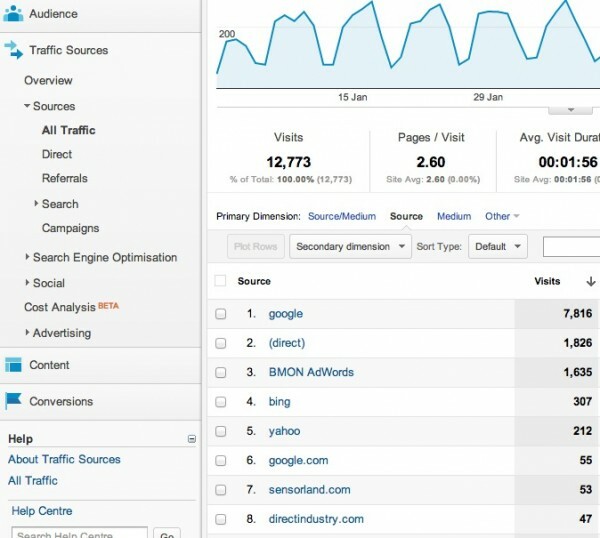 What does “direct” mean in your website analytics? If you’ve got Google Analytics running on your website, I’m going to guess that on the list of traffic sources, one of the top three sites will be the mysteriously labelled “(direct)”. The screenshot below shows the sort of thing you might see. But what is this “(direct)” entry, and can we get anything a bit more useful out of it? – Visits from plain links in PDF documents. There are others, but I’d bet that the list above covers the vast majority of the “direct” total. You’ll notice I referred to the links in emails, apps and offline documents as “plain links”; by this I mean that each link there is simply the address of the web page. The key to identifying these links (and taking them out of the useless “direct” category) is to make them “tagged links”, which is surprisingly easy, and is something I’ll discuss tomorrow. As for the visits which result from people typing in the web page address, there are ways in which we can break these out too, but it’s more complex. The thing to remember, however, is just how many sources are bundled up under the “direct” heading, and not to be tempted to give each unidentifiable source more credit than it’s due. For example, you might place an advert in a couple of magazines, with the main call to action being “visit us at www.bluewidgetcompany.co.uk for more information”. You now know that readers who type this into their browser will end up amalgamated under the “direct” heading. So if Google Analytics says that there were 100 “direct” visits last month, you shouldn’t convince yourself that perhaps nearly 100 visits came from one advert, because if that’s the case, you’d have got almost none from the other ad, almost none from your emails, almost none from people who saw you elsewhere and almost none from links in Word and PDF documents. However you estimate the breakdown, it’s the total of all unidentified sources which is 100, and the sad fact is that any individual source is unlikely to have more than 20% or 30% of the total …and probably less.